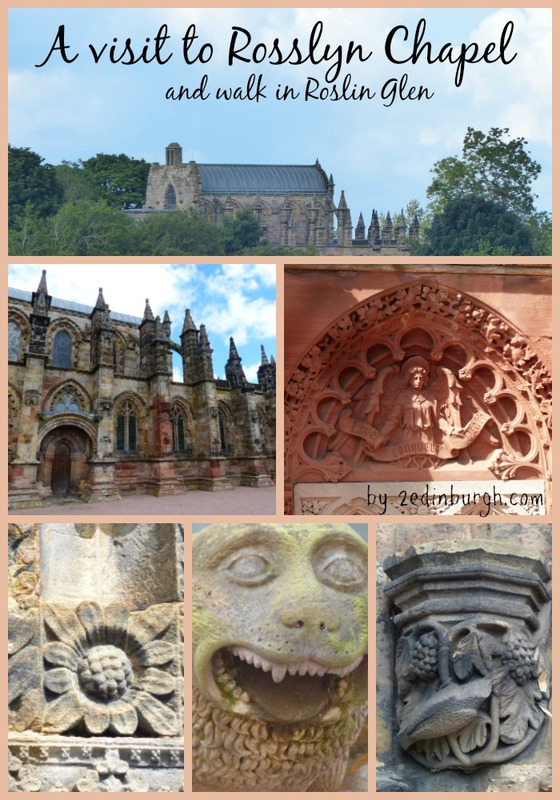 Over the years of hosting visitors in Edinburgh at Craigwell Cottage, we’ve had many guests who have gone to visit Rosslyn Chapel, on the outskirts of the city. They have often been prompted to make their trip their because they have read about it in Dan Brown’s book “The Da Vinci Code” or have seen the film of the same name starring Tom Hanks. 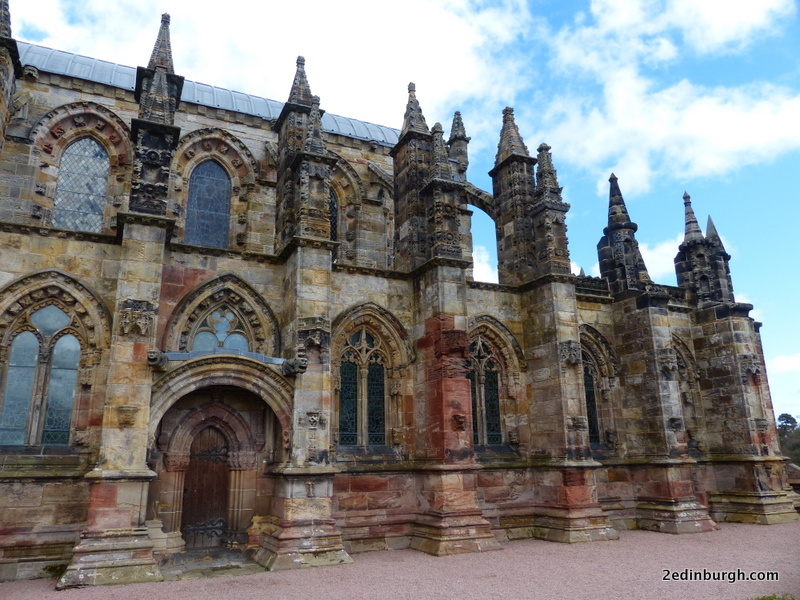 The book was originally published in 2003, and led to a huge influx of visitors to Rosslyn Chapel. When the movie was released in 2006, the Chapel began to set even more record numbers of visitors each year. Indeed, it was the increase in the number of visitors which led to more conservation work being possible, and the building of the Visitor Centre. 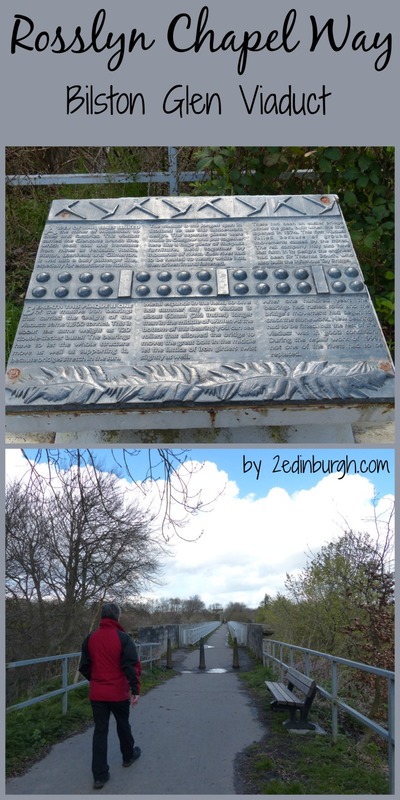 We discovered that it’s easy enough to visit Rosslyn from the centre of Edinburgh as the route 37 travels there (catch a bus at North Bridge direction Penicuik). 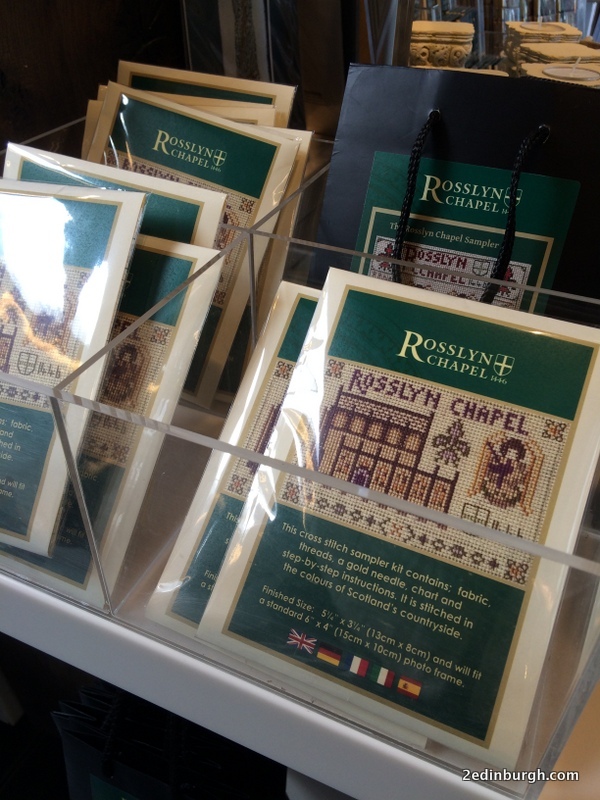 The stop at the Roslin Hotel in Roslin is the nearest to Rosslyn Chapel. The Chapel is well signposted, and the bus driver will be happy to tell you which stop. 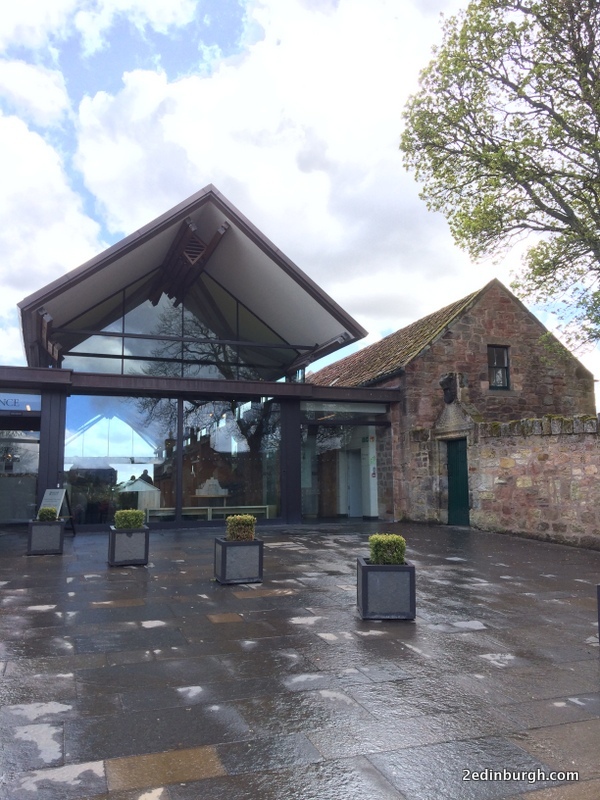 There is a visitor centre at the Chapel where you can find out more about the building and watch videos about the history and renovation. 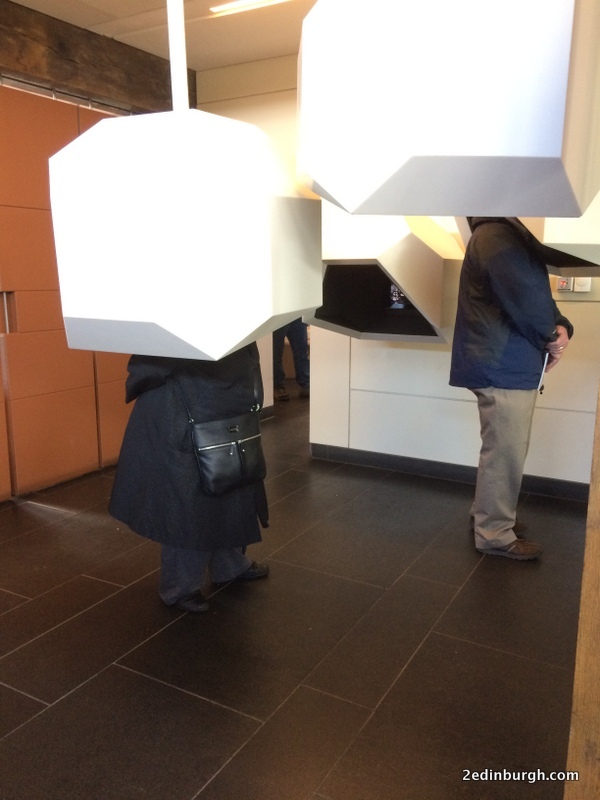 There is a wide range of gift items available in the shop, and a small café serving drinks, snacks and light lunches. This is also where you will find out about the timing of guided visits and talks which take place throughout the day. On the day we visited there were hourly talks and in between times there was another guide talking about medieval knights and armour. It’s disappointing (but completely understandable) that no photography is allowed inside the Chapel, so make sure you spend lots of time capturing images from the outside, and perhaps buy a guide book or postcards of interior images. You’ll probably spend around 1.5 – 2 hours on your visit, depending on your level of interest in the history and the amazing craftsmanship which went into carving the stories into stone. We decided to have a light lunch at the Café before heading off on our walk into Edinburgh, and of course if you don’t want to walk back you can simply reverse your journey by catching the 37 back into the city. We’d advise that if you’re short on time you take the walk in Roslin Glen which will take another hour or two, and then catch the bus. 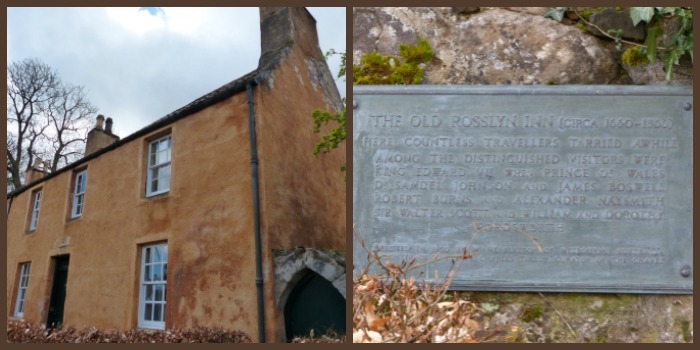 Just outside the entrance to Rosslyn Chapel you’ll find the Old Rosslyn Inn where a sign indicates that guests included Dr Samuel Johnson and James Boswell, Robert Burns and Sir Walter Scott. 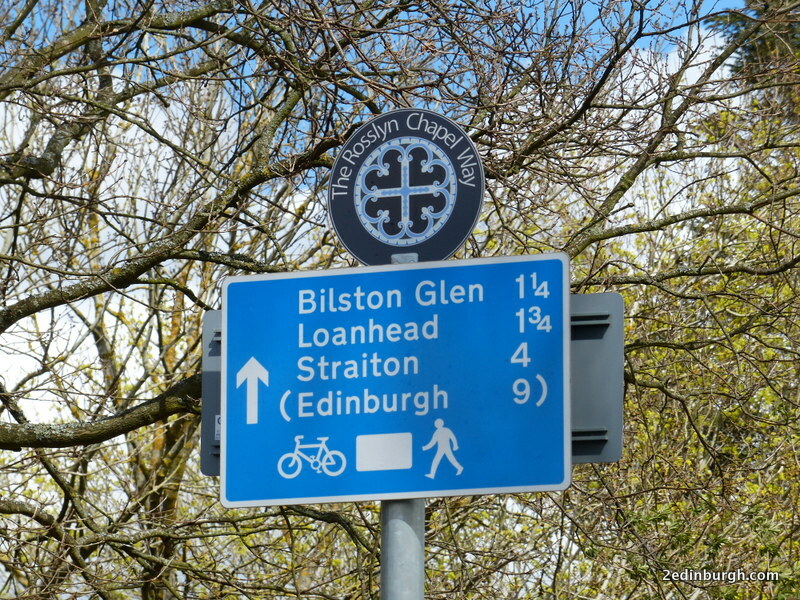 The Rosslyn Chapel Way is well signposted and follows pathways and old railway lines back to the city centre. 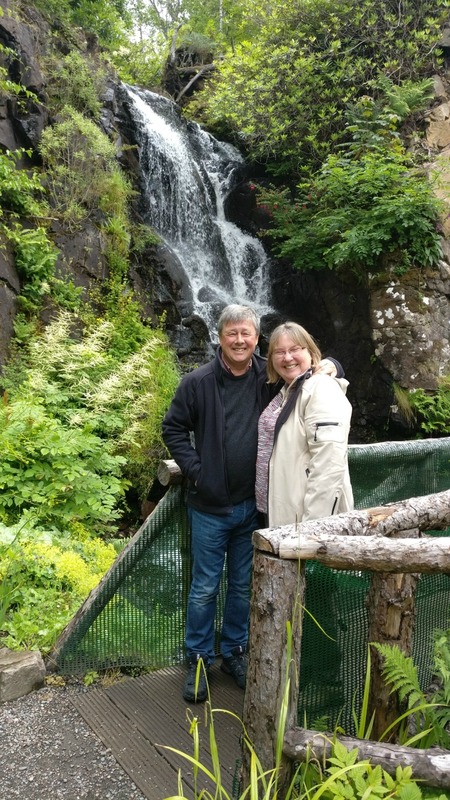 You’ll find a link at the end of this article to the Pilgrimage Route in to Edinburgh, which we followed (in reverse from the description on the website), but the way is well signposted. The industrial heritage of the area is marked by such features as the Bilston Glen Viaduct, where you can read about the building of the bridge. 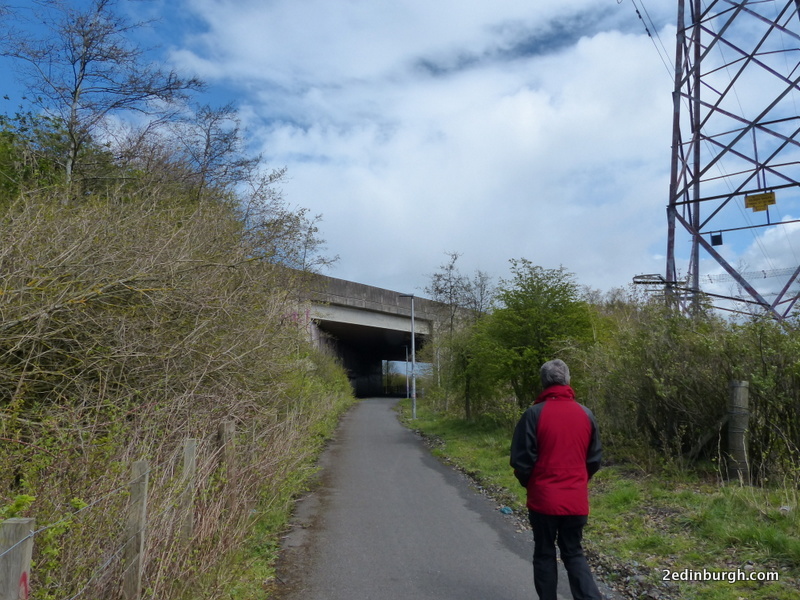 As you return towards the city you’ll find a route under the very busy Edinburgh City Bypass. 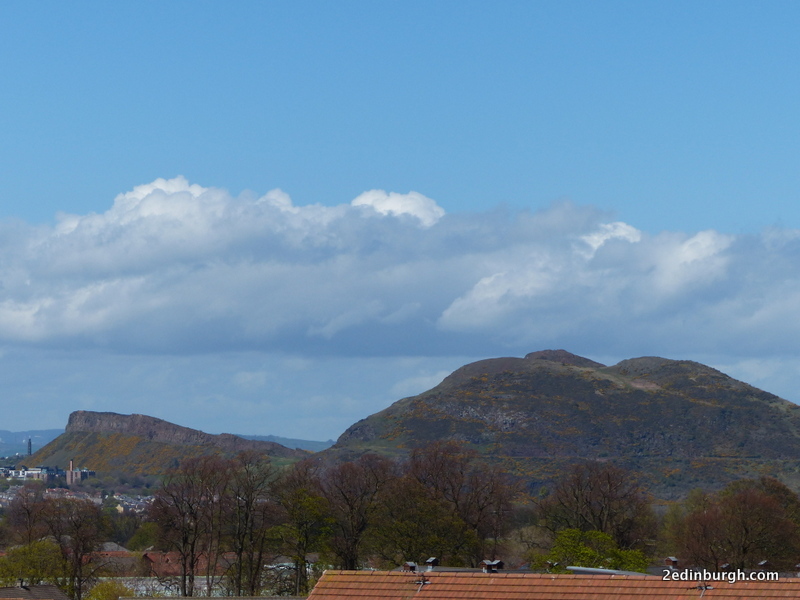 The route includes some superb views towards Arthur’s Seat (and the Pentland Hills behind you). 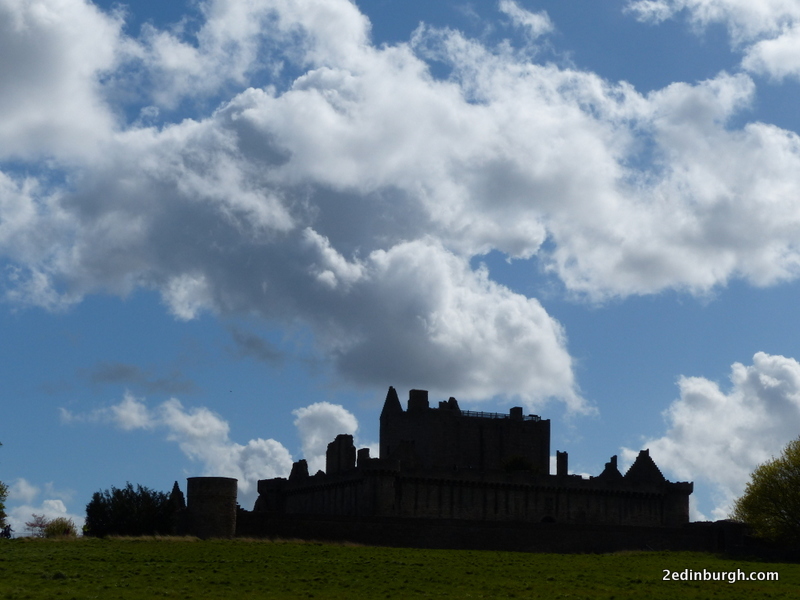 You’ll also pass Craigmillar Castle which has recently been used for some filming of another popular entertainment, Outlander by Starz-TV, based on the books by Diana Gabaldon. We arrived just in time to catch the castle looking very spooky and every inch the place which was destined to double as Ardsmuir Prison. Any time you need a guide point on your route, just look for the ‘sleeping lion’ form of Arthur’s Seat which is where you’re heading for. We ended our walk at Duddingston, but could have easily walked through Holyrood Park and back to Craigwell Cottage if we’d been based there. 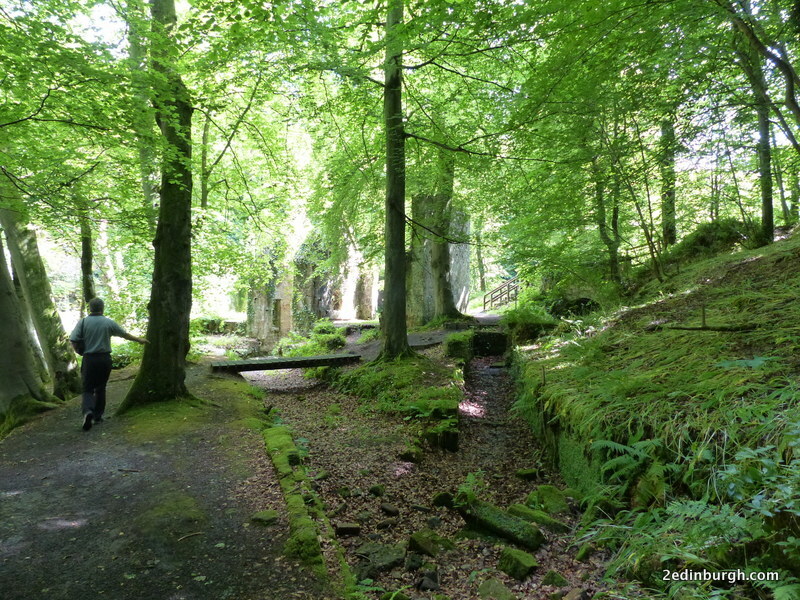 As we missed out on a wander through Roslin Glen on our first visit, we returned a few weeks later to take a walk through the leafy glen. It was early summer when we returned and the trees were in full leaf. 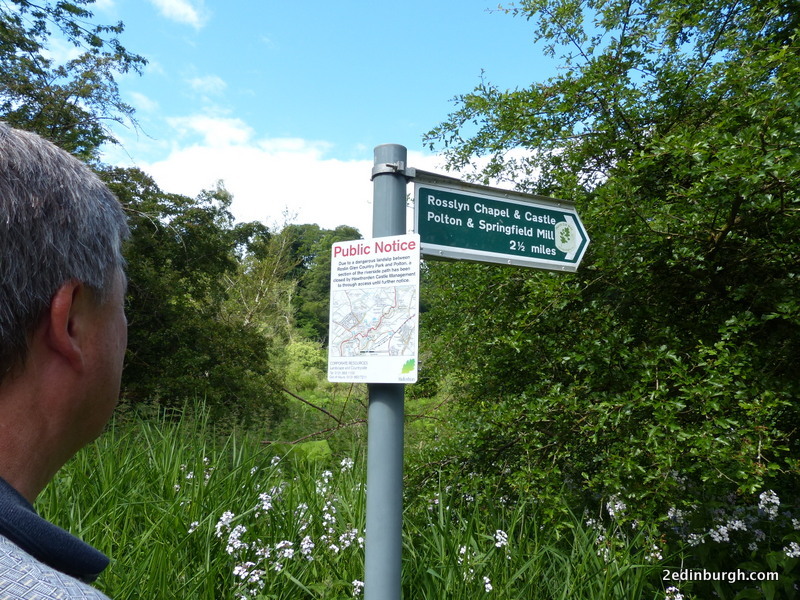 It was pleasant to wander by the river, and take in views of Rosslyn Chapel from viewpoints along the route. We didn’t plan a route, just followed the way markers and enjoyed our walk. On this occasion we took the car and parked at the car park near the Chapel. 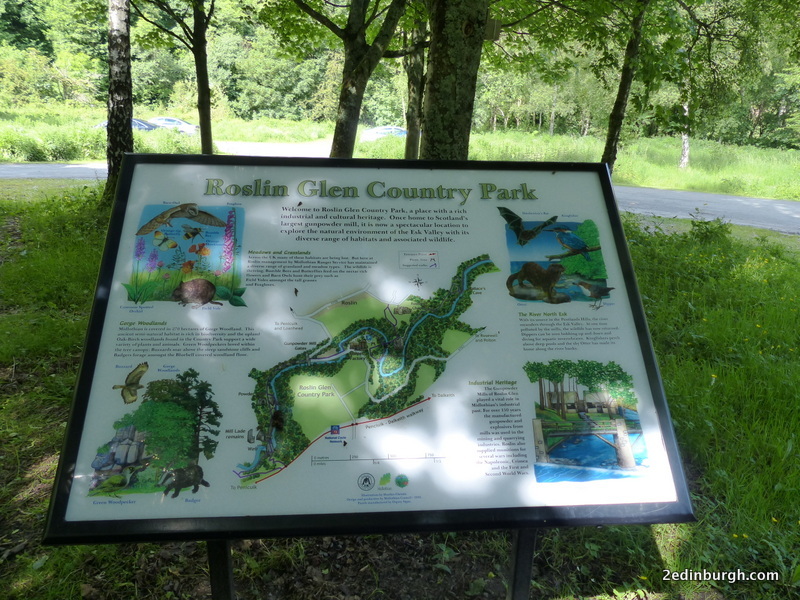 Sign boards in Roslin Glen Country Park gave good information about the wildlife and things to look out for. Old industrial sites to explore were a feature of some parts of the walk. Here we’re heading towards a derelict mill building through the trees. 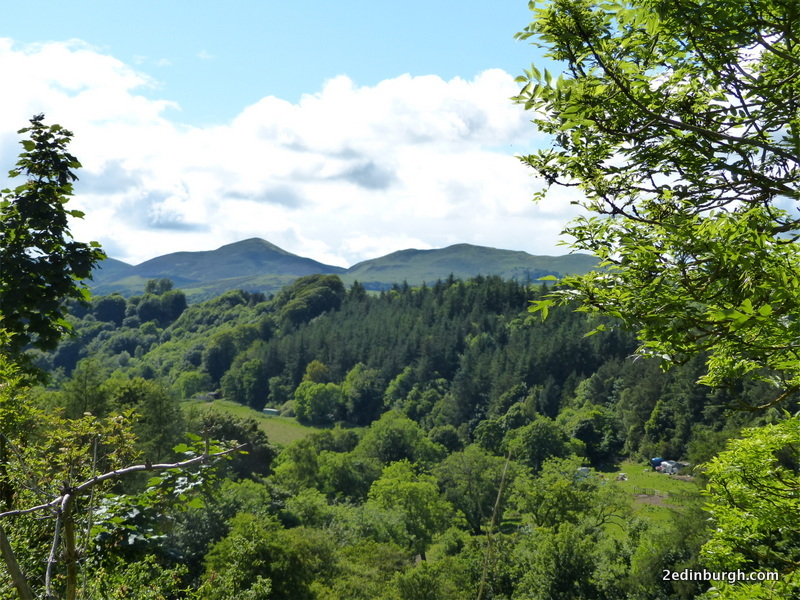 And after climbing up steps on the route we saw great views towards the Pentland Hills. 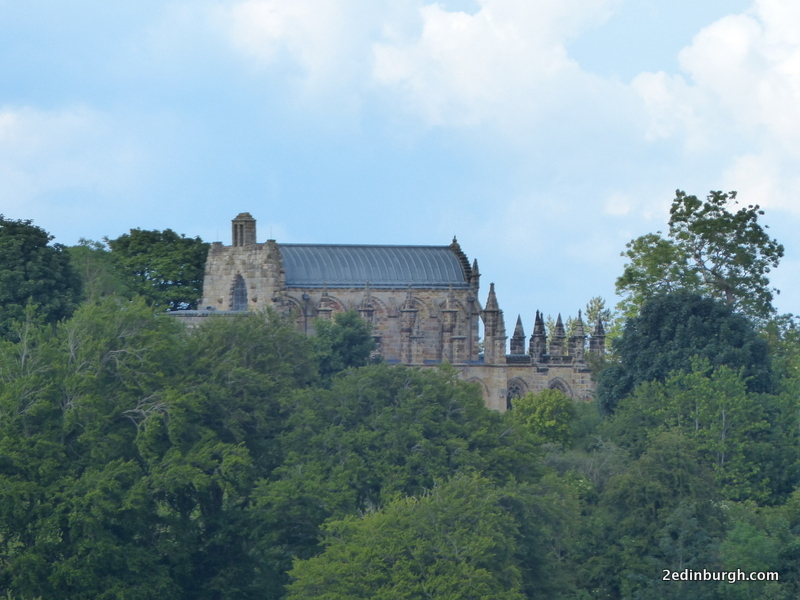 As we returned towards Rosslyn Chapel and the end of our walk, we also saw a view of the chapel through the trees. This would be a wonderful walk to do in autumn too as the leaves turn. We hope that you’ll consider a stay at Craigwell Cottage when visiting Edinburgh, and invite you to check our availability by putting your desired start date into our “Book Now” search to get a quote for a stay of any duration from 3 nights. We look forward to welcoming you to Edinburgh. From the Way of St Andrews Website we picked up information about the route from Edinburgh East out to the Chapel, but we did the route the opposite way, stopping before climbing Arthur’s Seat. If you enjoy saving your ideas for a vacation trip on Pinterest, then simply pin this pic for later and it will save a link for you to help in your planning.